The overarching goal of our research is to develop a theory that allows to tell if (and how) machine learning is possible given the available resources (data, computation, privacy,...). To this end, we try to identify easily measurable quantities (such as temperature in physics) which allow to predict the behaviour of highly complex machine learning systems (e.g. 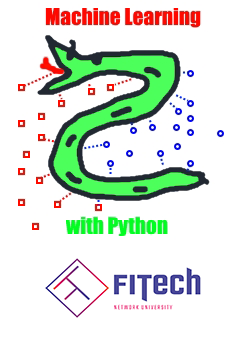 a deep neural network with billions of tuneable weights which is applied to massive unstructured data). We draw inspiration from the accomplishments in physics where a single number (the temperature) can tell a lot about the global behaviour of incredibly complex systems such as a lake which is constituted by billions of water molecules. Our paper ``Analysis of Network Lasso for Semi-Supervised Regression'' has been accepted for presentation at AISTATS 2019! 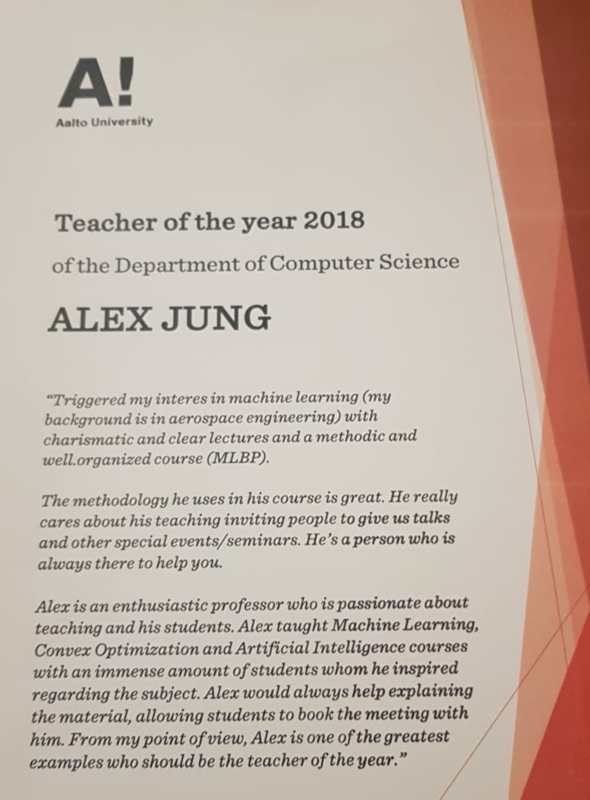 Elected as ''Teacher of the Year 2018'' at the Aalto-Computer Science department ! Our project ``Learning Networks for Big Data'' has been selected for an AWS ML Research Award! Compressed Sensing of Big Data Networks at EPFL, Lausanne, Dec. 2017. Solving the Food Waste Challenge: An Artificial Intelligence perspective at Slush side event ``The Future is BioDigital: The Packaging Valley'', Helsinki, Nov. 2017.